IS YOUR UTAH PIONEER FROM 1847 IN THIS PHOTO? Did you know there were a total of 1,949 pioneers that arrived in what would eventually be called Utah, in 1847? The land was first owned by Mexico, then acquired by the United States; it was called the Territory of Deseret after the conclusion of the Mexican-American War . 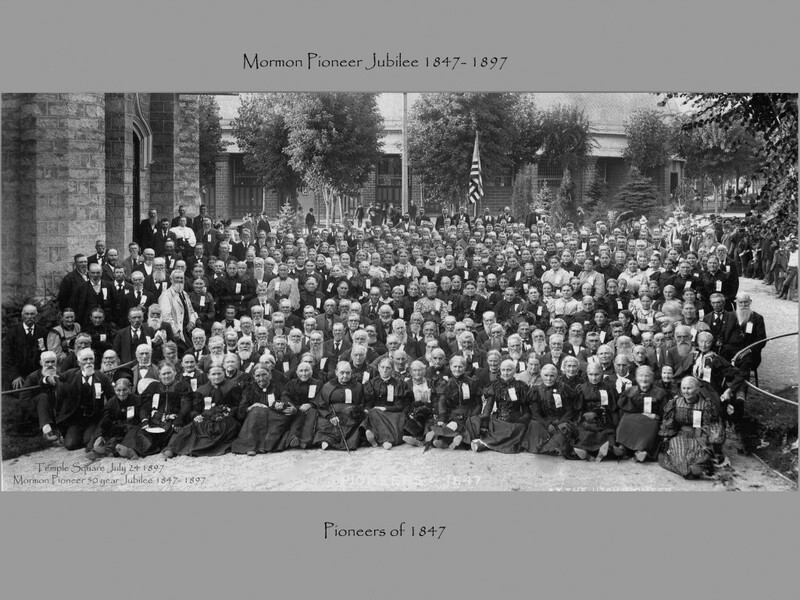 Fifty years later, 663 of these intrepid pioneers were able to attend the five-day Utah Pioneer Jubilee celebration in Salt Lake City in July of 1897. Among them in this photo were 28 pioneers from the original Brigham Young vanguard company. Utah achieved statehood in 1896, just one year prior to the Jubilee. THESE VERY PIONEERS ARE IN THIS AMAZING PHOTOGRAPH. The large format fine art photographic print (16 x 24 inches), digitally restored and optimized by Edward Wilson’s photo restoration studio (photo-restorations.net), has greatly improved visual clarity. You are able to see the faces* of these pioneers more clearly which will be helpful when you attempt to identify your ancestor(s). T. F. was so excited to be able to identify her fourth great-grandfather, Lorenzo S. Young, when she received this optimized fine art photograph. 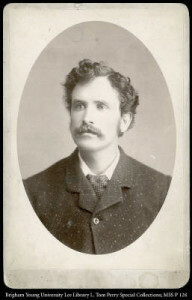 He was a six-year-old boy in the original vanguard company along with his half-brother, Isaac Perry Decker (age seven). They both were able to meet in Salt Lake City for the Semi-Centennial Utah Pioneer Jubilee of 1897. These two men were standing close to each other in the photograph, helping her identify them. A member of the Daughters of Utah Pioneers, she plans to write a story about this exciting discovery previously unknown to her. 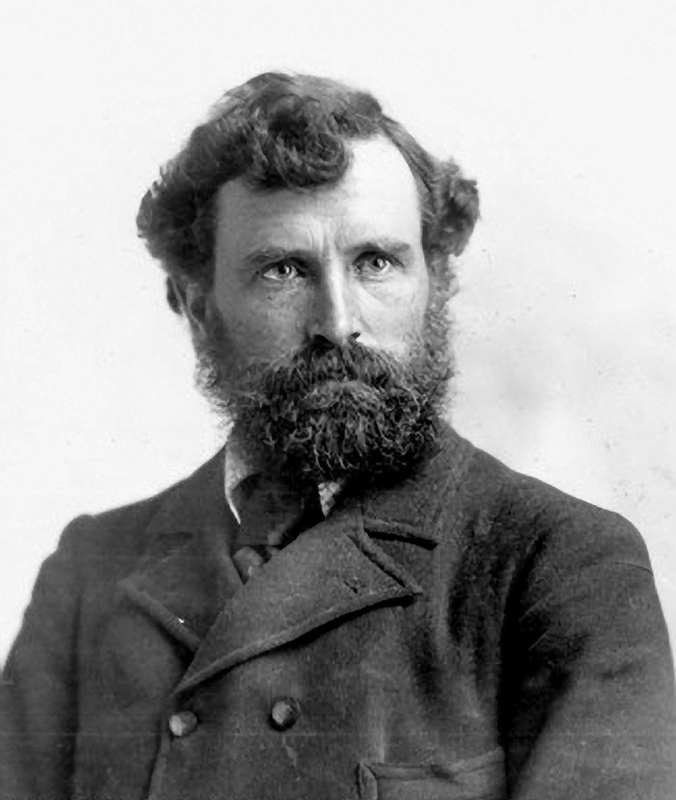 George Edward Anderson, (October 28, 1860 – May 9, 1928) was one of the premier photographers of the early Utah Pioneer experience. He was honored at the Jubilee to be invited to create this historic image. He is an early American photographer known for his portraiture and documentary photographs of early Church of Jesus Christ of Latter-day Saint’s temples and historic sites. 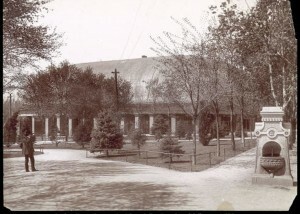 The miraculous Pioneer Jubilee image was made on Temple Square, just South of the Tabernacle next to the Assembly Hall. Here is a link to a brief biographical sketch about Anderson published in the Ensign Magazine. 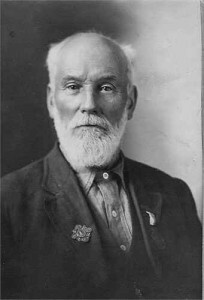 For the Jubilee photograph, Anderson used the photographic process of the day: A light sensitive emulsion was mixed and applied by hand on to a glass plate. The mixture was a combination of silver halide suspended in egg whites. That is what we’d call “film” today. To take the photograph, the pioneers had to sit or stand very still for as long as sixty seconds-the amount of time for the emulsion to be sufficiently exposed by the light image. The photographer would take the cap off the lens, exposing the glass plate to light from the image. And then, replace the lens cap to end the exposure. Cameras did not have or need shutters at that time. *This long exposure time is why some faces are somewhat blurred. The process was unstable enough that the whole process, had to happen within a 15 minute window of time. So the photographer had to bring along a dark room to make the negative just before taking the picture and take the picture while the plate was still wet, and then, develop the image right then. Imagine behind the camera a black cloth tent waiting to complete the processing to preserve the image. Other photographers of the time had declared that making this historic image was next to impossible. 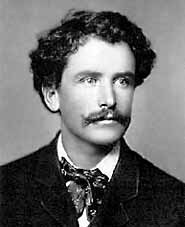 As photographic technology advanced, Anderson’s techniques kept up with the times. 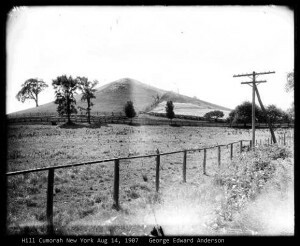 His last photographs in the 1920′s were made on celluloid film much like the film we know today. The glass plate negative had to be stored carefully because exposure to moisture, heat and light quickly degraded the image, the emusion being water-soluble. This caused damage and deterioration to the original glass plate image over time. Thus, after over one hundred years, the image needed to be renewed and restored digitally. DO YOU LOVE UTAH HISTORY? Then, you love the story of these intrepid people who first populated Utah. In the large format 16 x 24 inch fine art prints, you will notice the pioneers in their best clothing, the women with their bonnets in their laps, some with fans, and the men with their hats off. The pioneers are wearing their gold commemorative pins displayed against a blue ribbon on their chests. 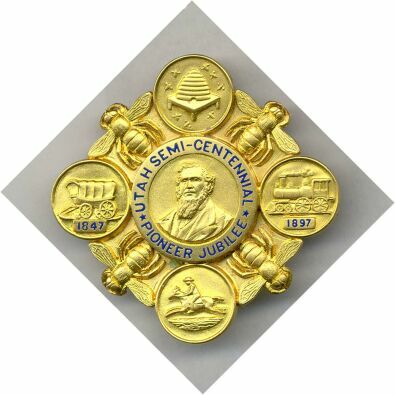 In the Utah Pioneer Jubilee photo the pioneers are wearing gold commemorative pins made by Tiffany of New York at a cost of $10 each. See photo and description. Each Limited Edition Fine Art Print purchaser will be given a bonus of a gold colored badge pin replicating the original from 1897. Ten Jubilee Photo postcards will also be included. These will come by separate post. This is a photograph of George Smith Rust an I847 Pioneer who is in the Jubilee Picture. Notice the Jubilee Pin on his lapel. See #102 on the DUP chart!